This week’s SATURDAY SIX takes a look at Six Reasons We Love Universal’s Portofino Bay Hotel. Currently, the Universal Orlando Resort has four on-site hotels, with a fifth (Sapphire Falls) opening later this summer. 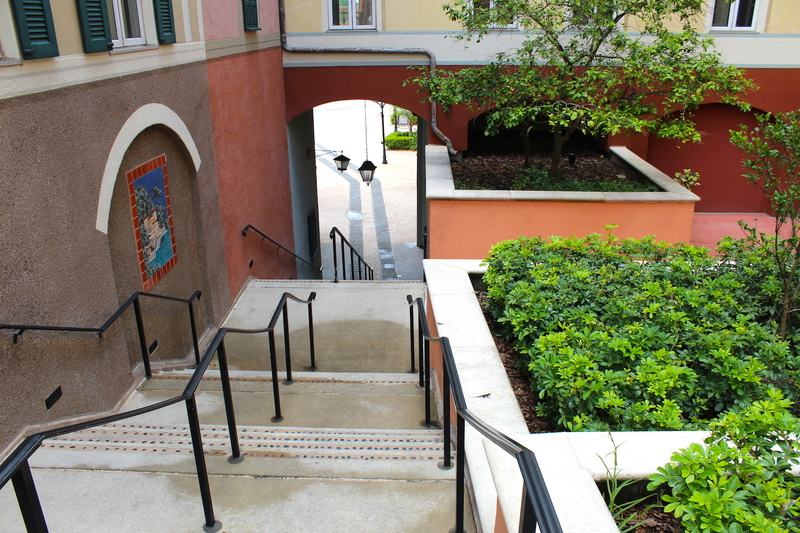 Disney has three classifications for their resorts: Value (including Pop Century), Moderate (Port Orleans Riverside), and Deluxe (Contemporary). 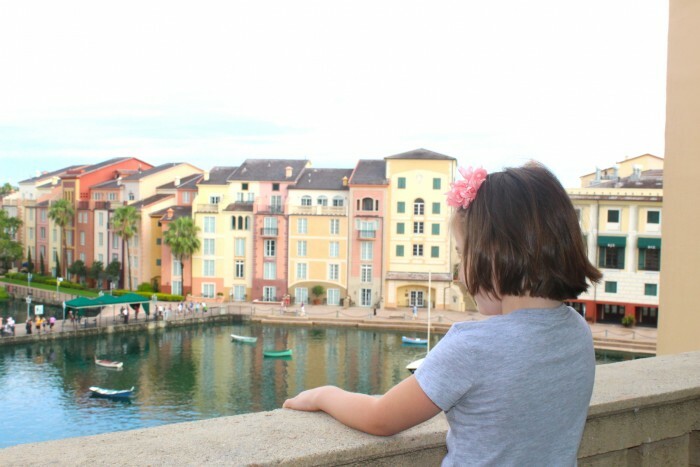 Universal also has three levels: Preferred (including Royal Pacific Resort), Prime Value (Cabana Bay Beach Resort), and Premier, which is where the Portofino Bay Hotel resides. 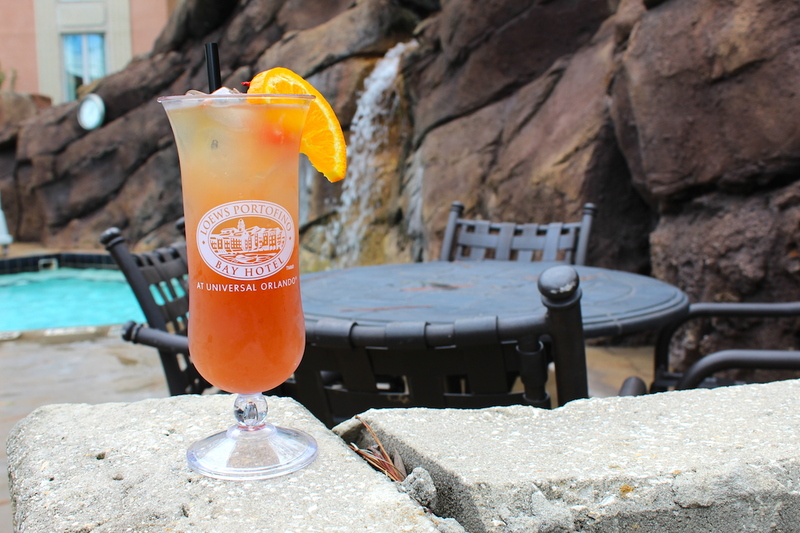 Portofino Bay Punch – Bacardi superior, Bacardi ‘O’, banana liqueur, blackberry brandy, orange juice, cranberry juice, pineapple juice, and a splash of Bacardi 151. First, a little backstory. 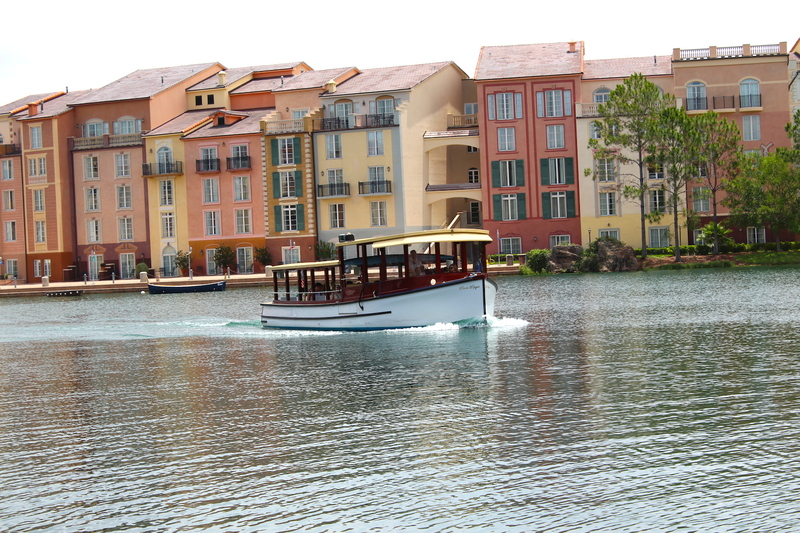 Steven Spielberg can be considered one of the main “architects” of the entire Universal Orlando Resort. 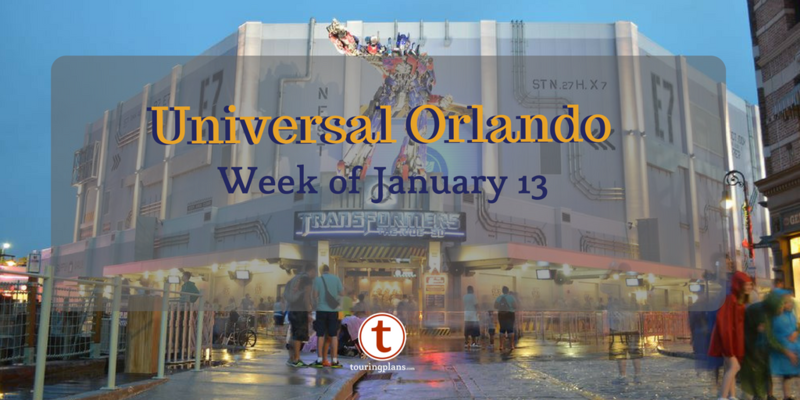 Universal Studios Florida, the park which started it all, was built on the back of films that Spielberg either directed (Jaws, E.T.) or was a producer on (Back to the Future, An American Tale, Twister, Transformers). 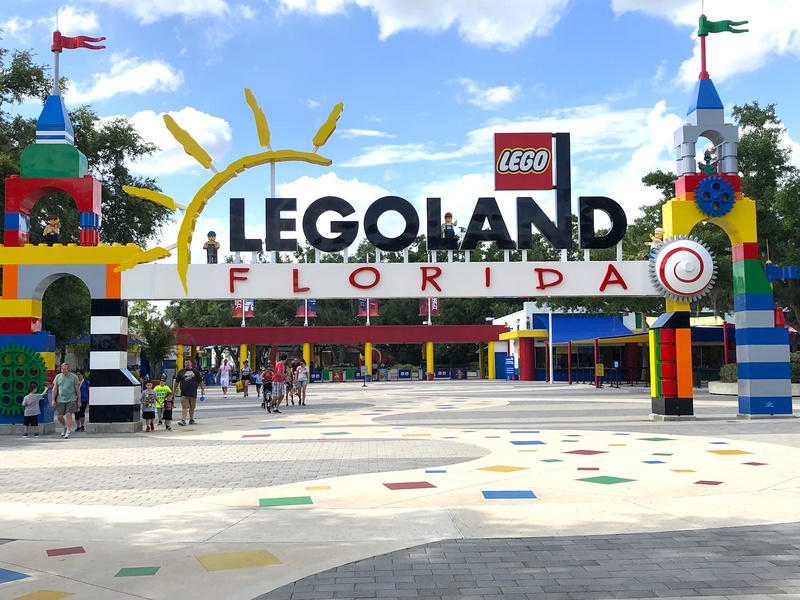 While the Wizarding World of Harry Potter is the current draw to Islands of Adventure, it’s Spielberg’s Jurassic Park that sits directly in the middle, and the iconic Jurassic Park visitor center is the first thing you see in the park when coming out of the Port of Entry. It’s only natural that when Universal was putting together Islands of Adventure back in the 1990s that they would pick Spielberg’s brain about ideas for the new onsite hotel they would also be developing. A little while back we took a trip to Disney’s Caribbean Beach Resort and fell in love with their Fuentes del Morro Pool. 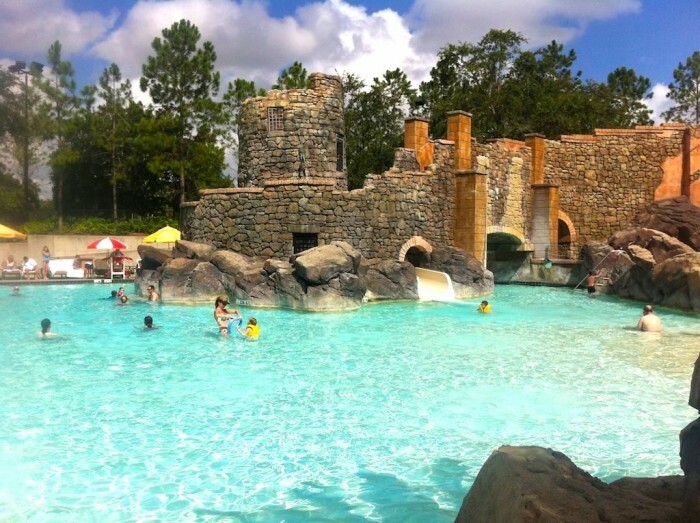 The Beach Pool at Portofino blows away the one at Caribbean Beach and joins the elite of Orlando pools including Stormalong Bay at the Yacht & Beach Club, and the Nanea Volcano Pool at the Poly. There are a lot of activities surrounding the main pool, including a children’s water play area (complete with pirate ship), pool tables, ping pong, a giant checker board, a fantastic pool bar (with tons of seating and a great menu), two hot tubs, a sandy beach and more, The pool itself is an impressive fort-like structure you can walk around in, a grotto you can swim through, and a great slide. 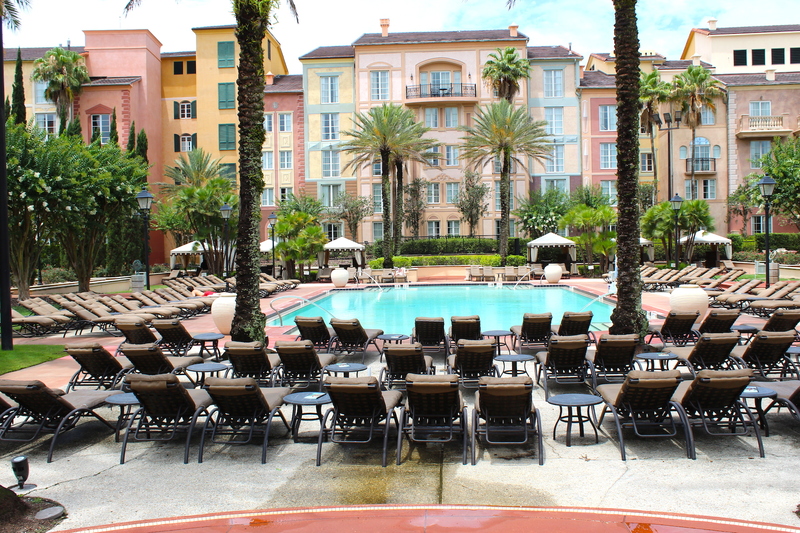 The Beach Pool at Portofino Bay. 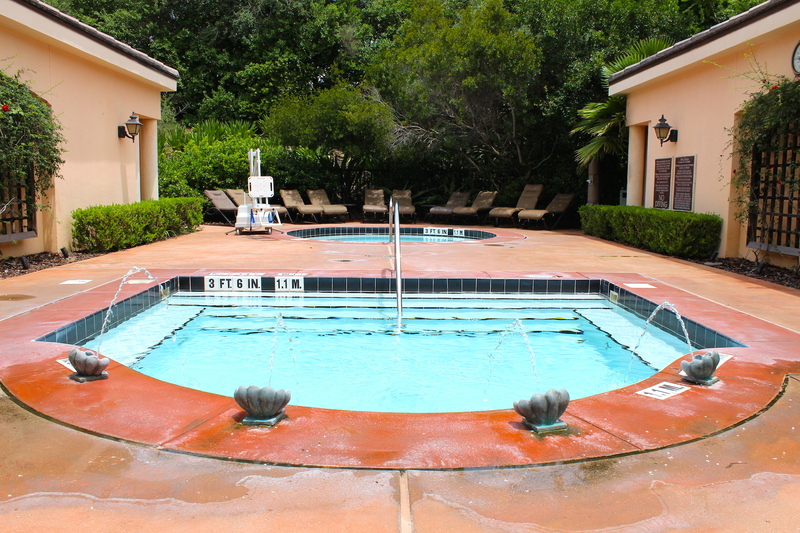 There are two other pools at Portofino, including the impressive Villa Pool. Located near the Beach Pool, this area includes even more lounge chairs, 16 cabanas, a hot tub and a plunge pool. 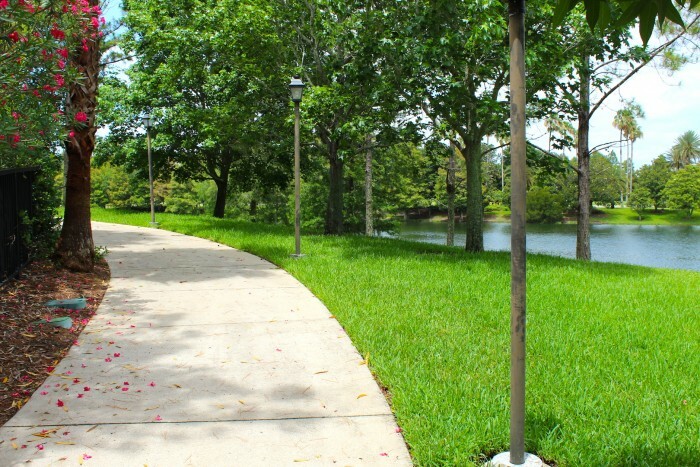 Just a gorgeous area with maybe the best pool bathroom area in the entire state of Florida. 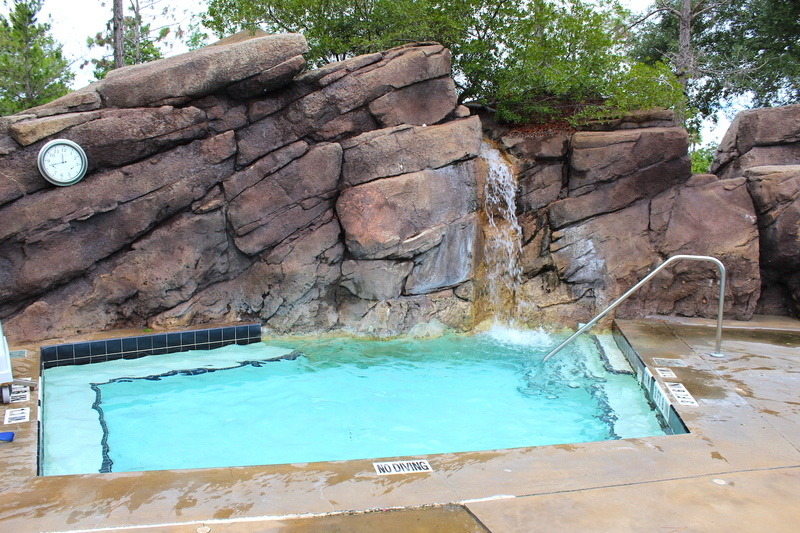 The third pool is a true quiet pool and located on the other side of the resort. The Villa Pool, straight out of a Lifestyles of the Rich and Famous magazine. Zero entry at the Beach Pool. Little pirates are going to love this ship. For the first time ever, we rented a cabana at the Beach Pool during our stay and actually will rent again in the future. I always used to assume a cabana would be a waste of money, but it ended up being incredible. We rented it on our check in day and arrived at 11AM. Our room wasn’t ready so we just brought all of our bags over to the cabana and had plenty of room (you can also drop off your bags at Bell Service.) The cabana had several seats inside, a ceiling fan, and a flat screen TV along with a DVD player (about 50 movies were available to watch, all included with the price of the cabana.) 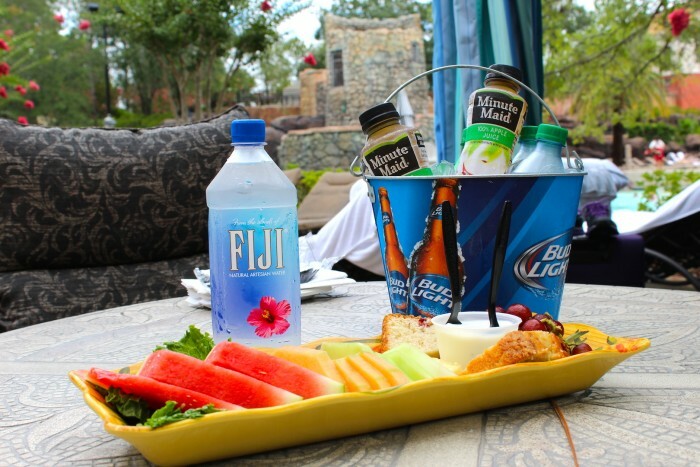 The cabana came with a fruit and cheese plate along with your choice of six drinks. A cabana attendant also came by many times throughout the day to see if we needed anything or wanted to order from the pool bar. 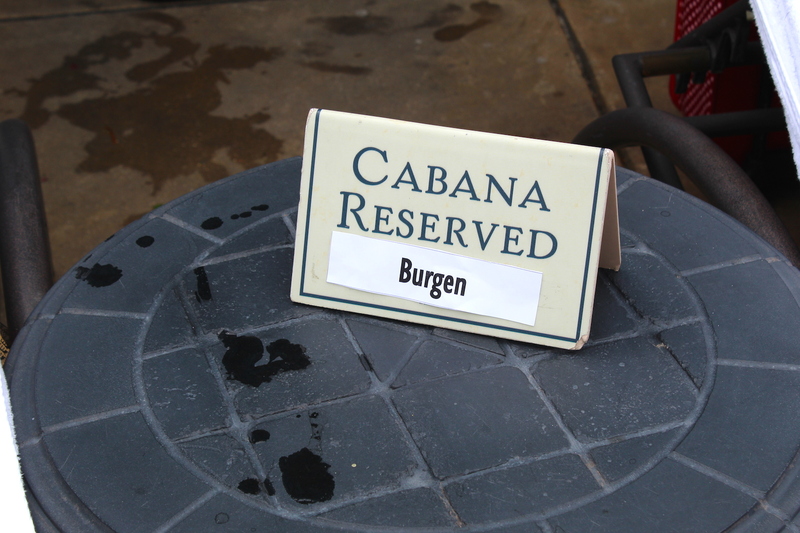 The cabanas start at $150 and will now be a staple of our Universal vacations on the first or last day of the trip as it made life so much easier. Fruit plate and six drinks of your choice come with the cabana rental. For those of you. 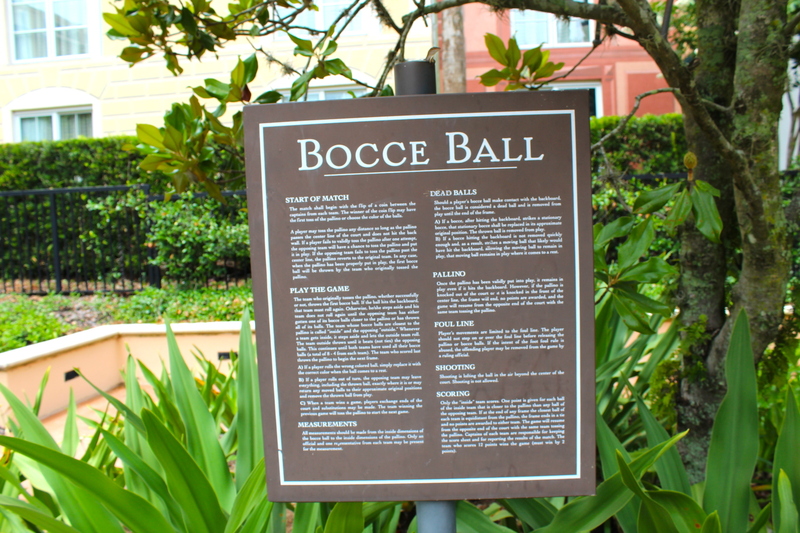 like us, that have a four legged member of the family, Portofino Bay (along with the Hard Rock Hotel and the Royal Pacific) is pet friendly. 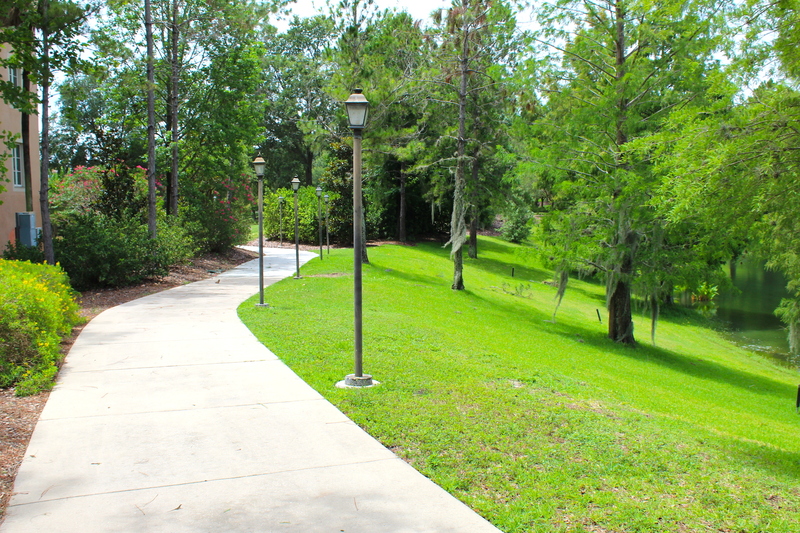 Surrounding the resort are long walkways (and we mean long. runDisney people may want to check out the Portofino for relaxing runs) along with a large spaces for your pets to play in. 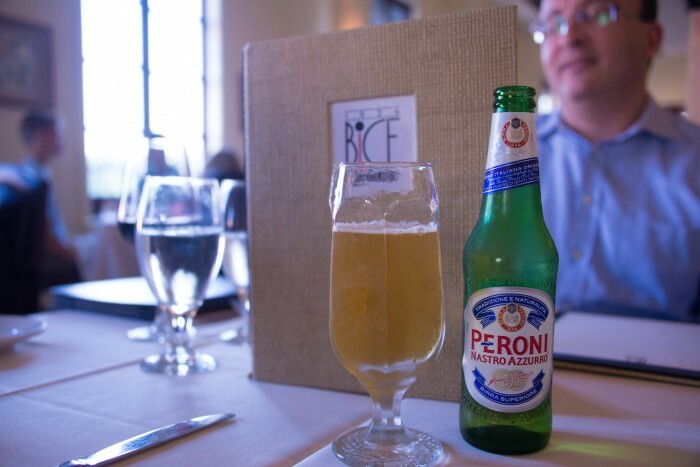 Like Victoria & Albert’s at the Grand Flo, BiCE at the Portofino is more of a dining experience than a meal. Service across the board at Portofino is among the best you’ll find at any theme park resort, but the service at BiCE takes it up a notch. 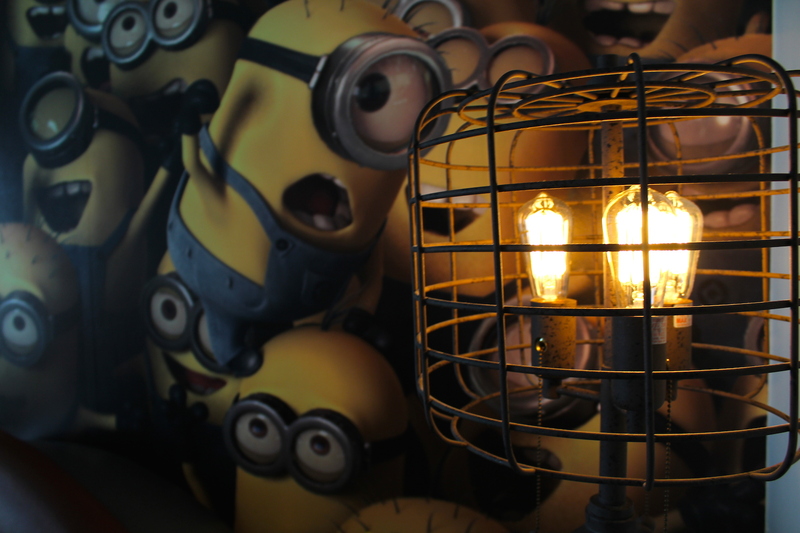 The servers are knowledgable, friendly, and are there before you know you need them. While Portofino is a great destination for families, it also is one of the best places for couples, with BiCE being the ultimate date night dinner. With an exquisite menu and an extensive wine list, you’re going to search long and hard to find a better place for a romantic meal. 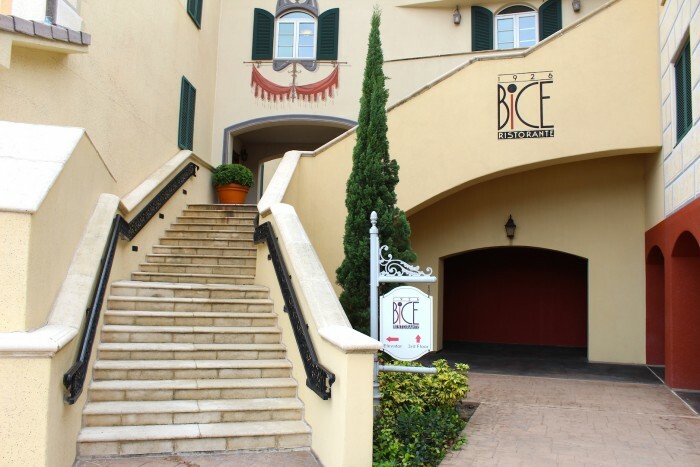 While the attire for BiCE is technically “business casual,” you’re not going to be run out of town wearing your theme park attire (unlike Victoria & Albert’s, where if you wear a t-shirt you’re immediately brought to the stockades in Liberty Square.) 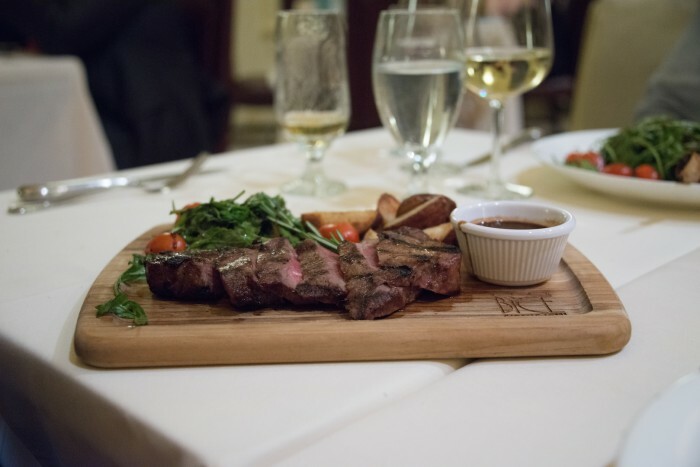 We’ve tried almost everything on the menu and there is almost nothing we wouldn’t recommend. Even the penne pasta with spicy tomato sauce was probably the best pasta dish I’ve had at any restaurant in the theme park corridor. 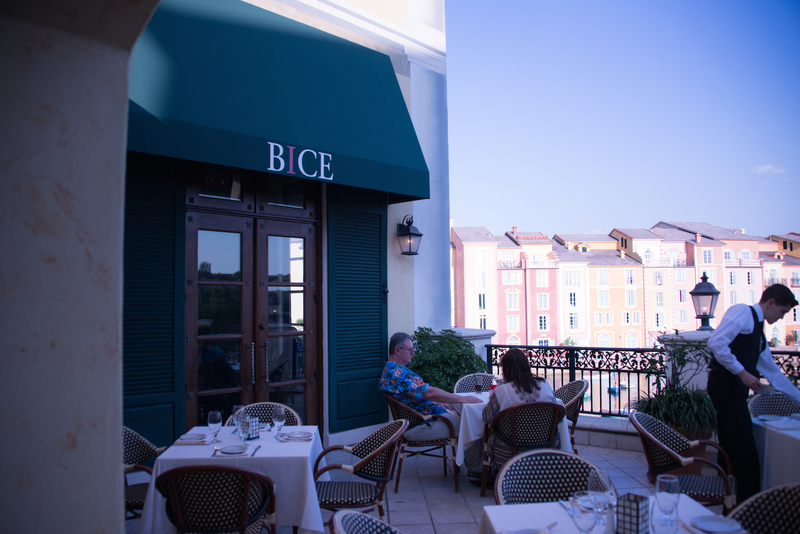 Located on the second floor, BiCE has a great view over the harbor. Don’t Forget Sal’s Market Deli or Mama Della’s Ristorante! 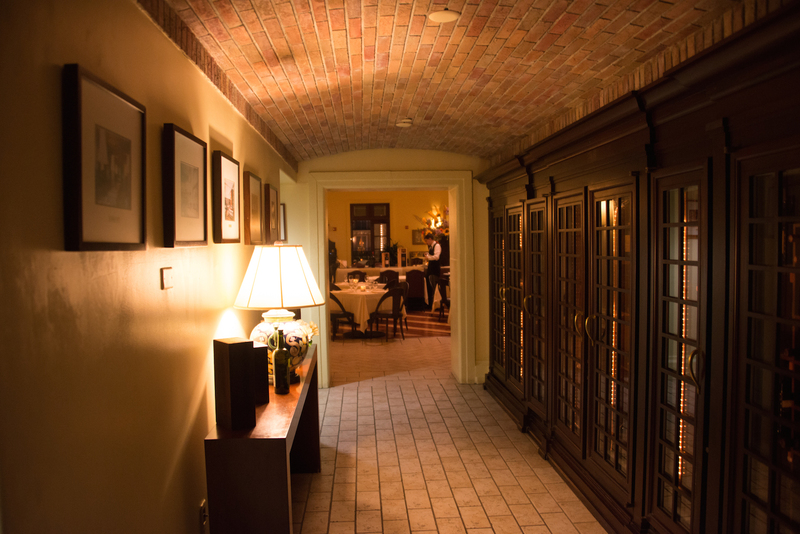 Two other dining areas at Portofino are also worth checking out during your stay. 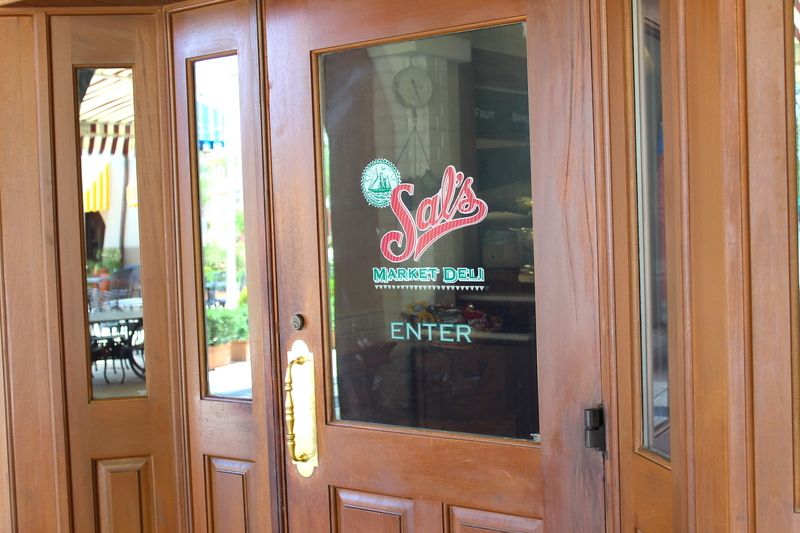 Sal’s Market Deli is a quick service venue with one of the best pizzas on Universal property (and that includes the great tasting pies you’ll find at Red Oven Pizza Bakery and Vivo.) Mama Della’s Ristorante is a table service restaurant with solid Italian dishes and strolling musicians performing as you eat. 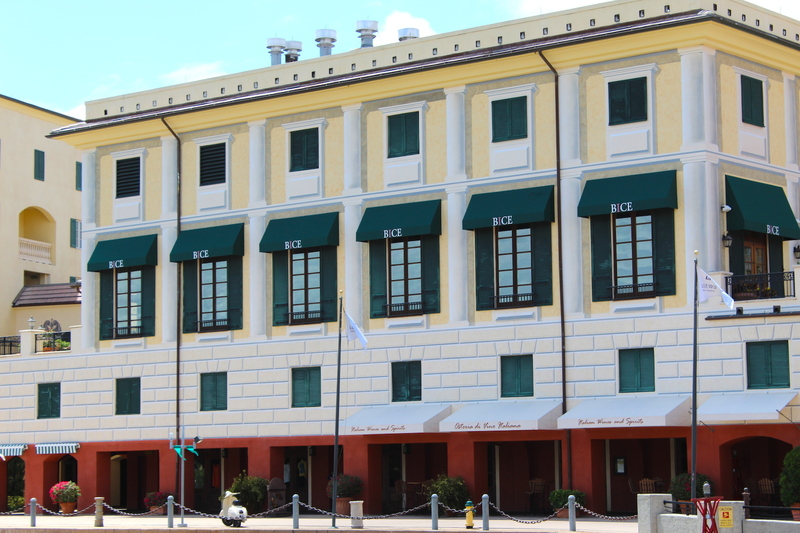 With only 750 rooms, Portofino isn’t a sprawling resort, but when walking around the grounds it seems gigantic. 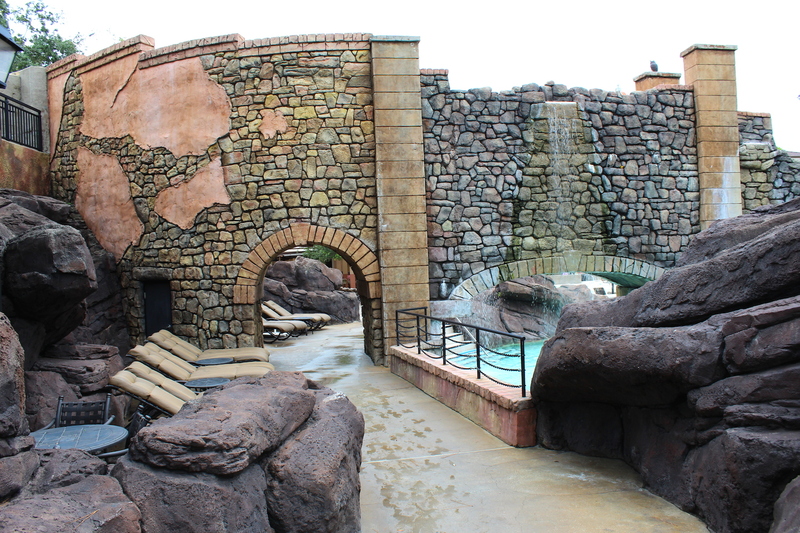 Because it’s so large, guests are spread out and it never feels crowded. There are so many fantastic photo ops throughout the entire resort, but you’ll probably be drawn the wonderful harbor area where several of the restaurants are located (along with a Universal gift store, Starbucks, and other miscellaneous shops.) In a word, it’s beautiful and like my favorite WDW resorts like Animal Kingdom Lodge or Wilderness Lodge, it always feels like you’re someplace special and not just a hotel. 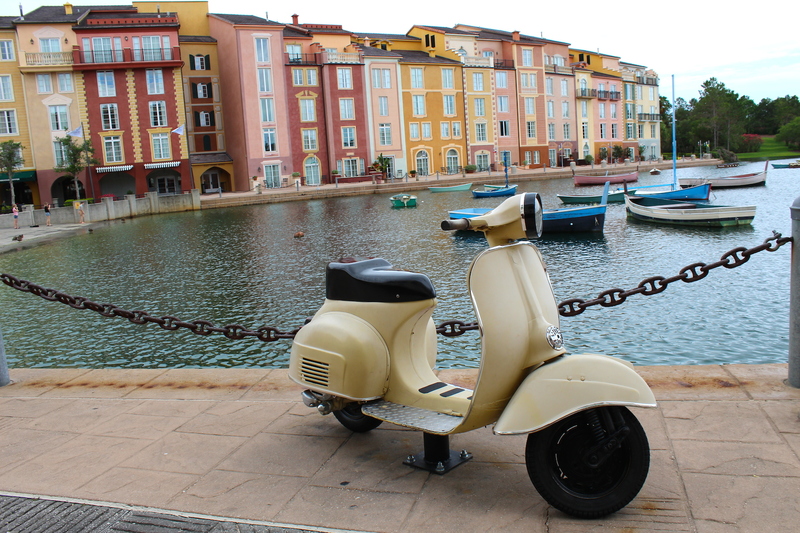 Vespa photo op sitting alongside the harbor. Pool fountain. 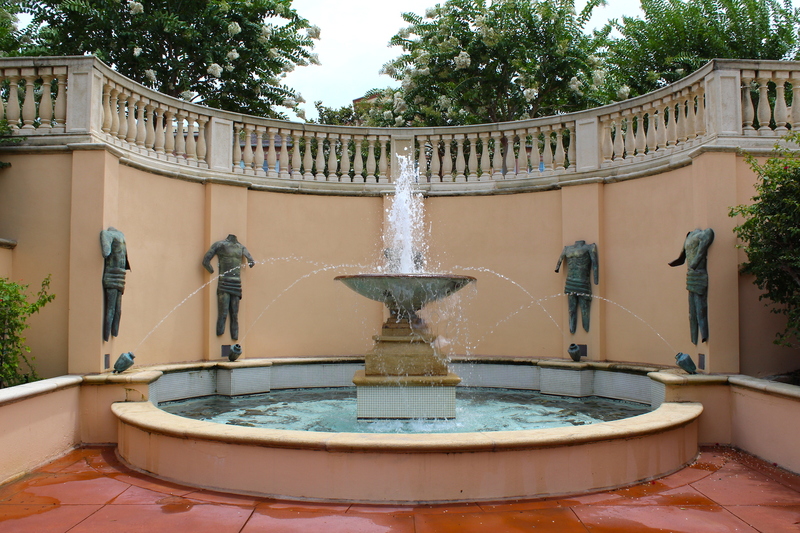 While not confirmed, rumor is those four statues are paying tribute to four legendary theme park bloggers. Messers. Hill, Testa, Roseboom, and Kubersky. It’s just like being in Italy, just without all the smoking. 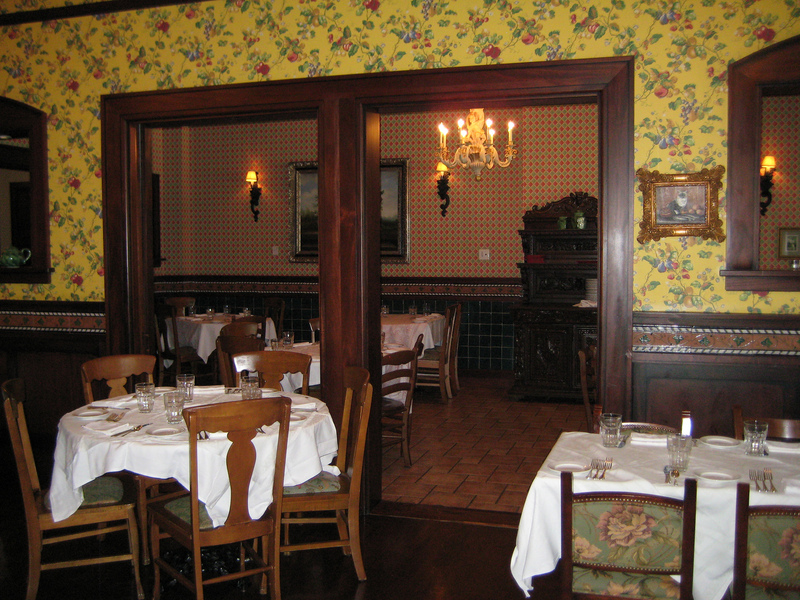 Inside the main check in building at Portofino. 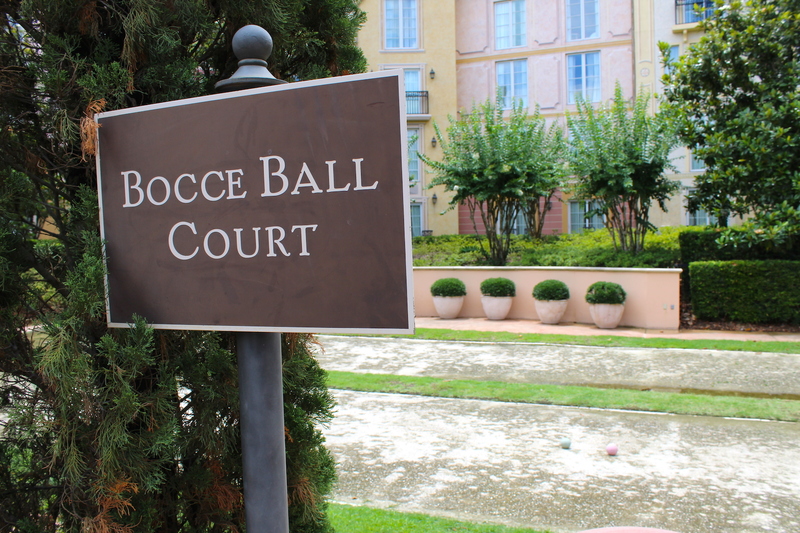 In general, at 450 sq feet and up, the guest rooms at Portofino Bay are even larger than your average room at a Disney Deluxe Resort. Many rooms have an outstanding view of the harbor, a few with balconies. But we’re here to talk about THE room. 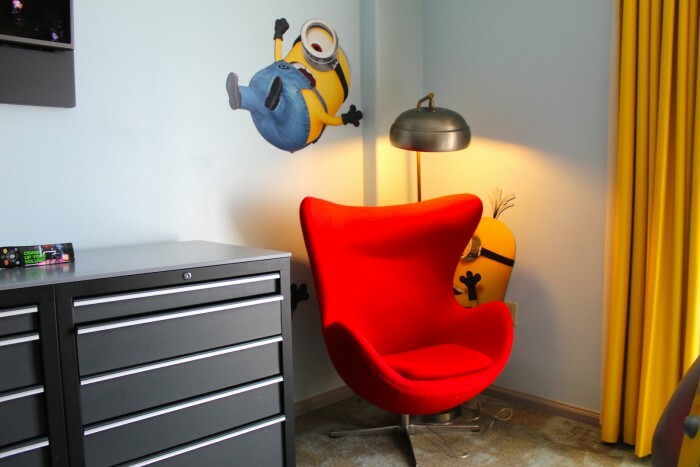 As a family who loves Disney’s Art of Animation Resort, we’ve been looking forward to checking out the Despicable Me Kid’s Suite at Portofino Bay from the day it was announced. Would it deliver? Well, let’s check it out. 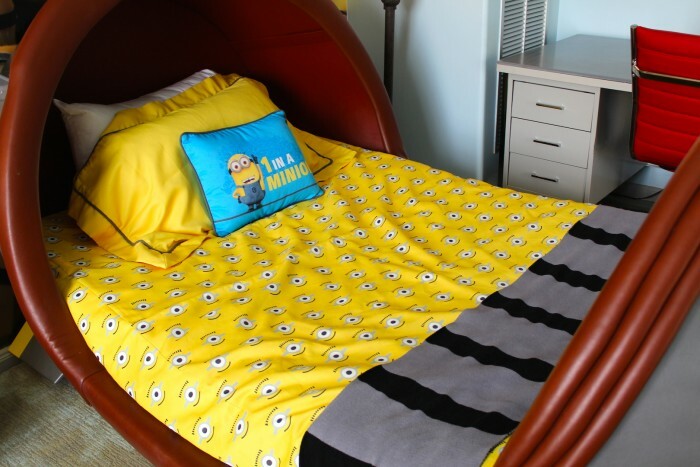 Gru’s scarf at the bottom of the bed. 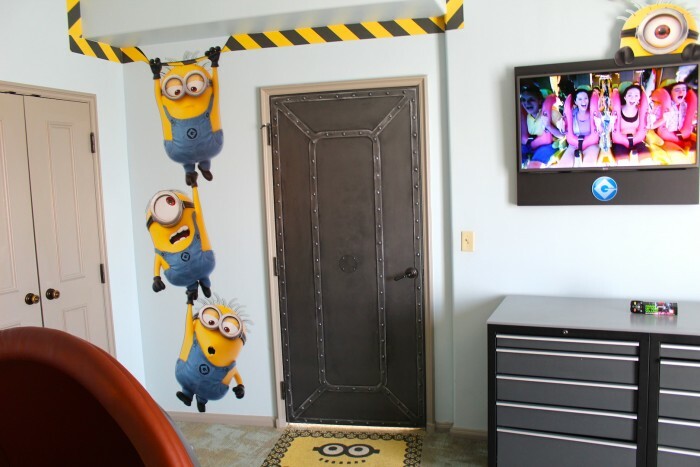 The Minion “mat” at the front of the door is another great touch. I have absolutely no idea what Bocce Ball is, and after reading the rules for the game I think I may actually understand it less than I did before. However, thanks to Portofino’s blessing of size (© Walt Disney) they have a Bocce Ball area near the Villa Pool. A DVC contract has less rules. Wait, is she shooting that picture in PORTRAIT?! That is a huge Blogger Etiquette offense! Our Six Favorite Jokes in Universal’s Springfield USA. Special Thanks to crack staff photographer Brandon Glover, crazy cat lady Laurel Stewart, and blogger to the stars Megan Stump for their invaluable assistance with this article. Be sure to also check out Brandon on The Park Blogger podcast with co-hosts Aengus Mackenzie and Brian Carey. Hard to play the DO YOU KNOW WHO I AM card when they spell your name wrong. I was debating about whether or not to stay here on my trip in October or stick to the much less expensive Cabana Bay. I think you may have convinced me to save up some extra money though! You forgot to mention that the bathrooms are the size of a college dorm. The bathrooms are CRAZY! It almost feels like a DVC one bedroom with all the space. 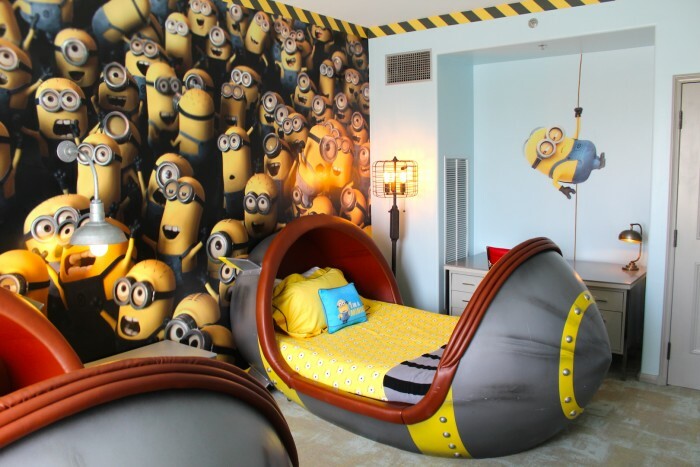 How many did this room sleep? 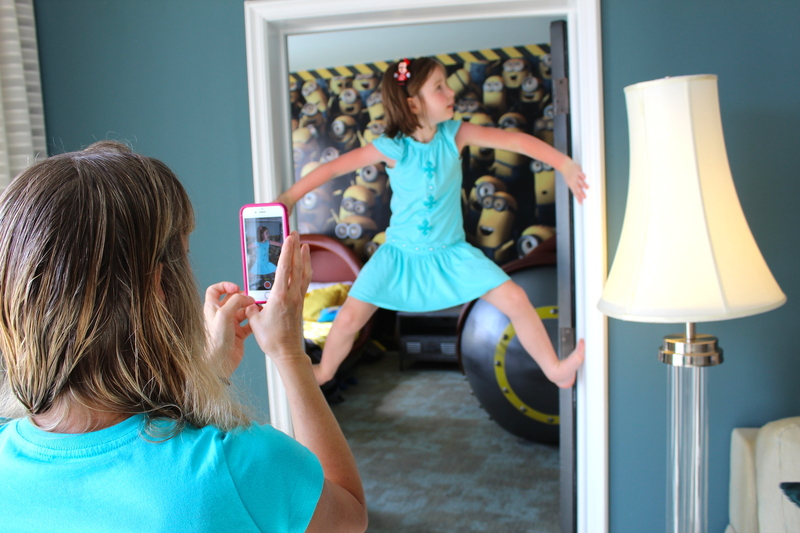 We’re a family of five and while we don’t mind a kid sleeping on the floor to save money, hotels (especially Disnwy Resorts) frown upon this. I only saw two “bomb” beds. 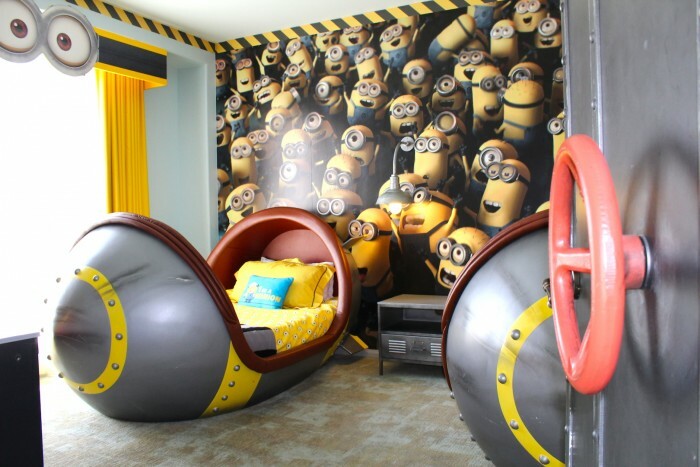 I’d hate to think a pull-out or extra bed was in the adult’s room. The adult’s room had a King size bed. We did ask for a pack and play to be delivered for an under 3 and they brought up a full size crib complete with bedding. They even included a Johnson & Johnson “take along pack” which included baby powder, hand-to-toe wash, baby shampoo, baby lotion, and Destin cream. 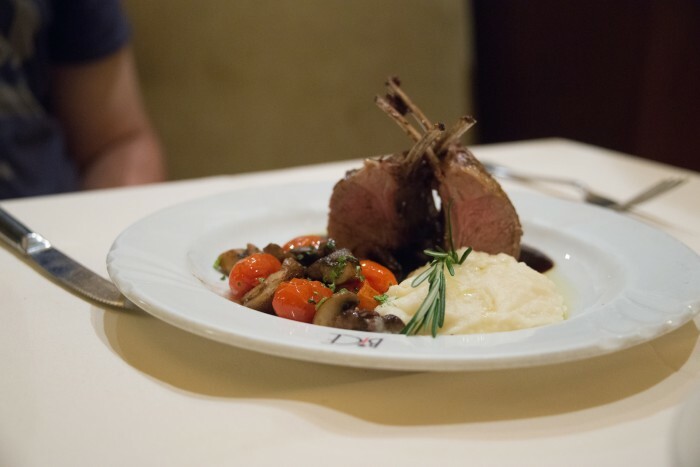 The service was beyond exceptional. 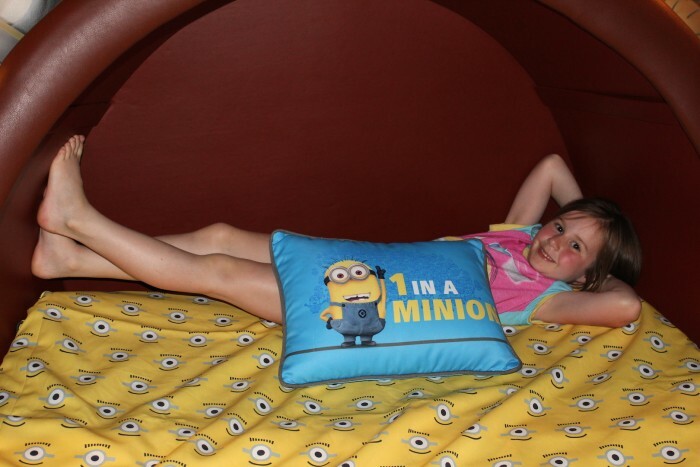 The two bomb beds are custom made, but are basically a double, and very similar in size of beds we have had at Pop Century. E-Ticket beds and two kids could easily sleep in just one of them. 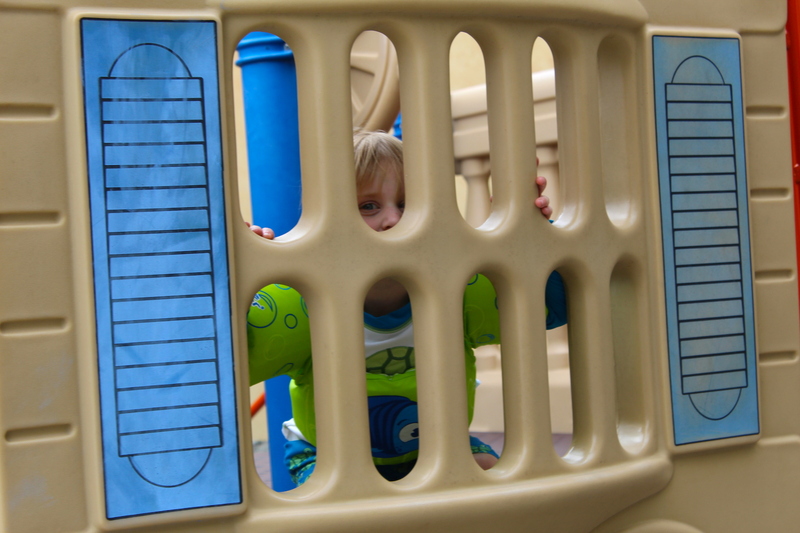 Maximum occupancy is 5 and you can also have a rollaway bed delivered to the room. That is $25 a night and I’ve done it several times at the Royal Pacific. They’re great beds. 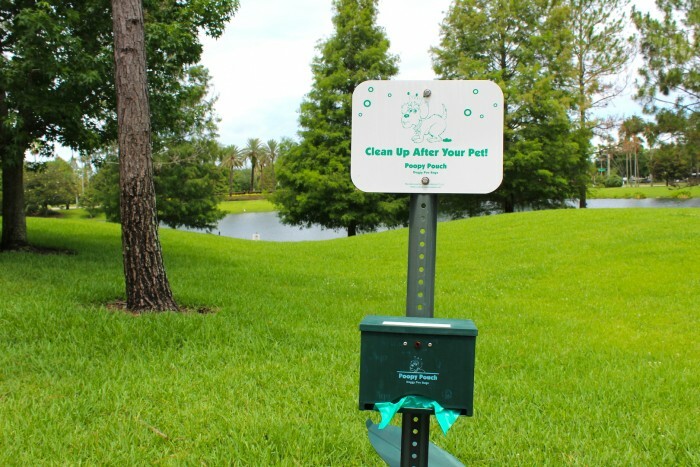 For all of Universal’s pet friendly hotels the rooms which accept pets are all together in one area of the hotel. So there is zero chance you will be in a room that a dog or cat was in unless bringing one. As for fleas, you do pay a $50 charge each night for a pet friendly room (although it is capped at $150) because they do clean them thoroughly after your stay. 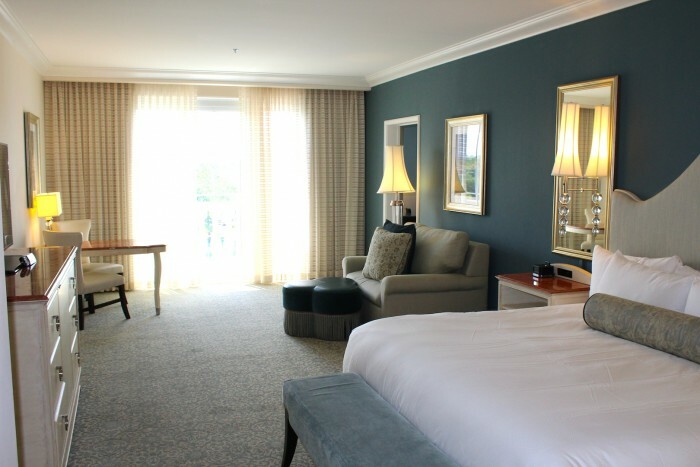 Here’s more things to consider that are included with the rooms “Upon check-in, every dog or cat receives welcome gifts including a name tag, bowl, and special treats. A “pet in room” sign helps you relax and lets our housekeeping staff know that your furry one is in residence. To help lighten your travel load, we can loan you pet beds, litter boxes, litter, scoopers, scratching posts, and other pet accessories. 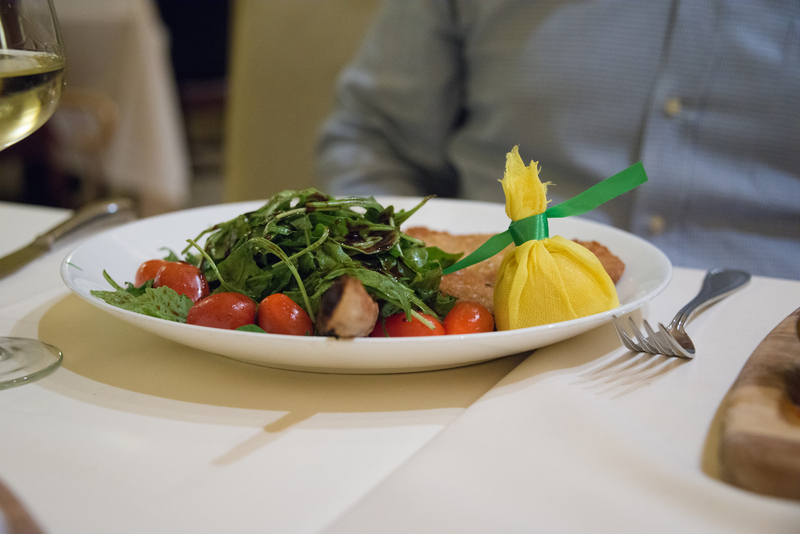 At mealtime, don’t miss our gourmet room service pet menus developed by our in-house chefs in conjunction with a licensed veterinarian. Good to know! 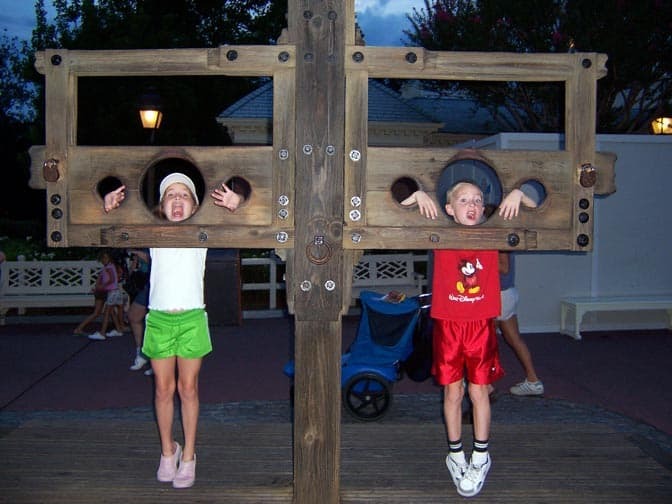 When I was a kid, we loved summer vacation, but it was so sad to have to put our dog in a kennel! 🙁 Sounds like Loews has it all figured out! 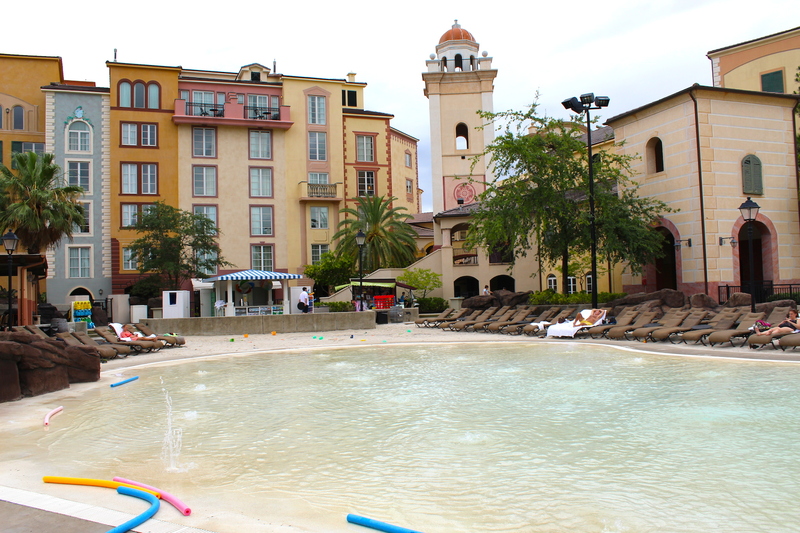 Is it true that all Universal Hotels allow pool hopping between the resorts? 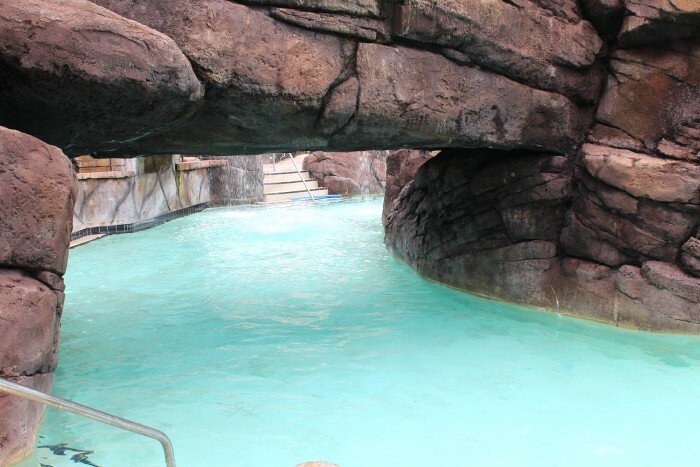 I would love to stay at Cabana Bay for the lazy river but be able to check out the other pools too. Here’s the deal on Pool Hopping. You can definitely pool hop with no problems whatsoever at the Portofino, Hard Rock, and Royal Pacific. While “on the record” guests are not supposed to pool hop at Cabana Bay, in my personal experiences the staff has no problem with you doing that and will let you in without a key. 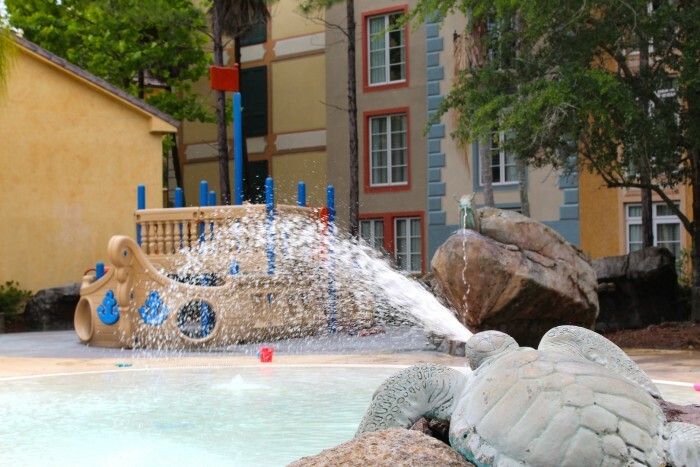 The pools at HRH, PBH, and RPR do not require a key. So if you are staying at Cabana Bay and are looking to pool hop to the others it’s no problem. But, if you are staying at the other three and want to go to Cabana’s lazy river (or use the slide at the pool on the other side of the property) you will need to be let into the pool area by an employee. 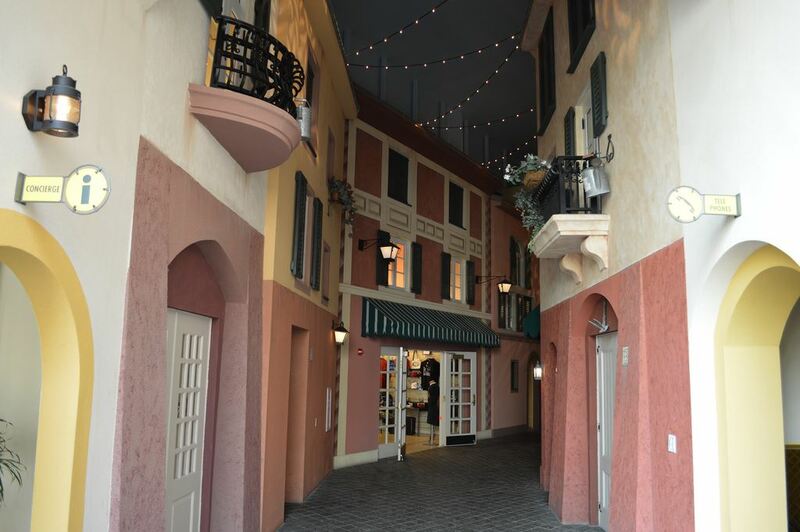 Another honorable mention should go the Musica Della Notte nightly entertainment on the plaza at sunset. And, don’t forget the onsite Mandara spa. 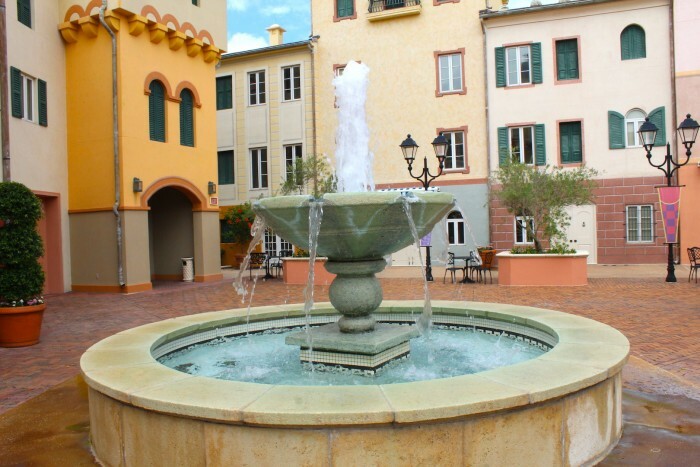 We also love the Thirsty Fish lounge and gelato shop both on the plaza! We agree that Sal’s has the best pizza at Universal. Love this place. We are booked for a Disney/Universal trip from the UK next year and were booked into the Royal Pacific which we love. After reading your article, we have changed to the Portofino which amazingly came out cheaper! A special offer when we are going. How lucky is that. Very excited to stay at a different hotel which looks gorgeous. Thanks very much for the post.